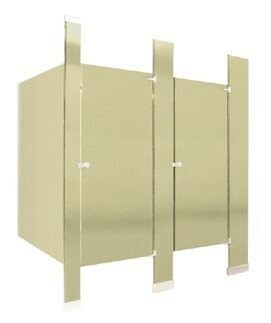 We offer high quality toilet partitions, shower stalls, dressing compartments and accessories. Call us today and we will help you choose from our proven products while keeping you on budget. Our consultations are free! Email your quote request to info@zinstallers.com. Where no overhead bracing is required, but ceiling hung partitions are impractical. 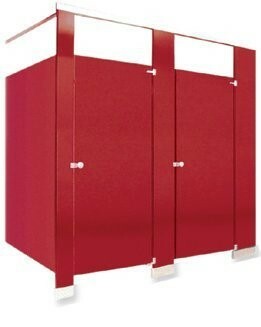 General Partitions’ 30 series (floor supported) is ideal. Modern spaciousness and rigidity are important features. The 30 Series is also featured in a 54” “Junior Size” which has proved to be a great help with younger children. 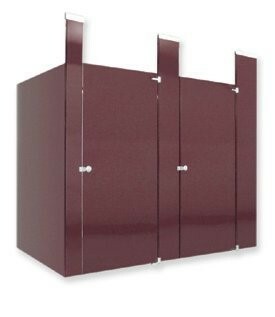 Our most popular style of toilet compartment construction is 40 Series (floor supported with headrail.) It is recommended for new and old buildings where economy, ease of installation, and rigid overhead bracing are required. The ease of floor maintenance when General Partitions 50 Series (ceiling hung) style is used, has influenced architects and building owners to utilize this style particularly on construction where dropped ceiling or open span type construction is practical. 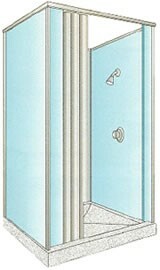 General Partitions’ floor to ceiling Series 60 is recommended for all areas subject to heavy usage. 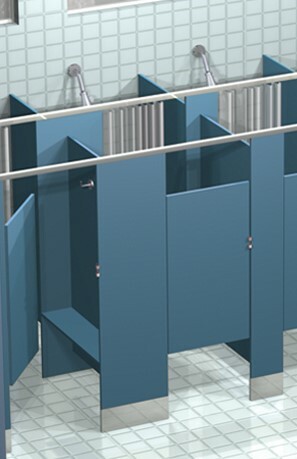 For problem areas we recommend the use of full length aluminum brackets and hinges. 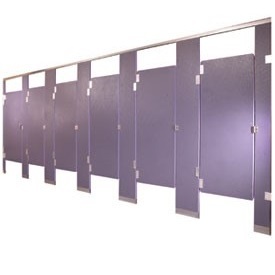 When increased privacy is required “Eastern style” is an option that can be incorporated into any of our partition series and materials when privacy is a concern. 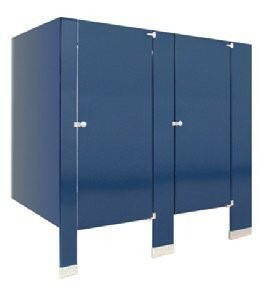 Panels and doors are specified as 67” high and mounted 3-1/2” off of the floor. 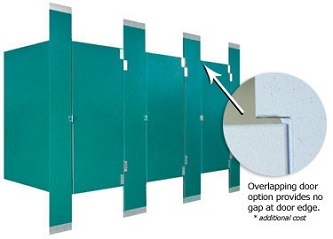 “Eastern max style” can also be incorporated into any series and material of partitions when maximum privacy is required. 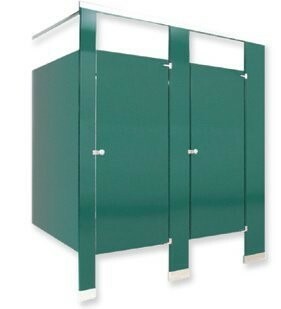 Panels and doors are specified as 72” high and mounted 3-1/2” off of the floor. 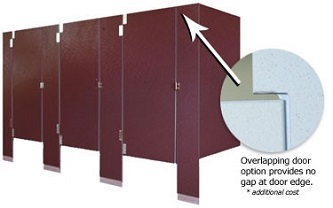 Both styles include continuous brackets and no sight door options to minimize any sight gaps. Available in baked enamel, stainless steel, S.P.C. (Solid Phenolic Core), F.R.P. (Fiberglass Reinforced Plastic), and H.D.P. (High Density Polymer). 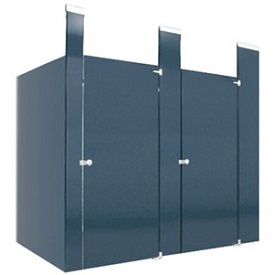 Like our toilet partitions, the materials are nonabsorbent, completely water resistant, impervious to steam, soaps and detergents and will not mildew. These features, coupled with the finest hardware available, makes an unbeatable combination. 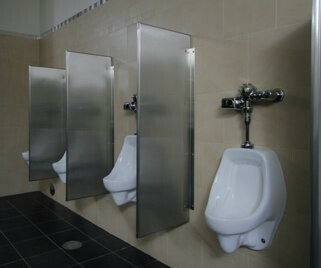 Urinal screens are manufactured to the same quality standards as the toilet partition themselves, in many different styles and finishes. As an item that receives much misuse and abuse, it is important to specify the design and material that will stand up to the environmental conditions of the project. 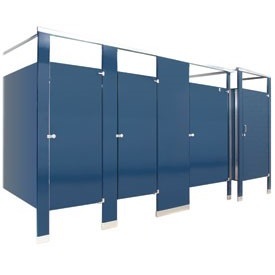 As with the toilet partitions and showers, we will be help with determining the best option for your application and budget. Accessories and replacement hardware is available. For more information view General Partitions' catalog (PDF).